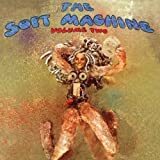 Soft Machine were never a commercial enterprise and indeed still remain unknown even to many listeners who came of age during the late '60s and early ‘70s, when the group was at its peak. In their own way, however, they were one of the more influential bands of their era, and certainly one of the most influential underground ones. One of the original British psychedelic groups, they were also instrumental in the birth of both progressive rock and jazz-rock. 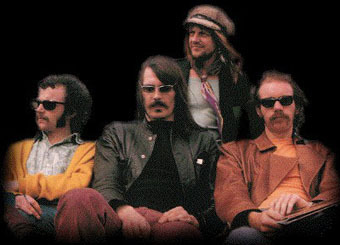 They were also the central foundation of the family tree of the "Canterbury Scene" of British progressive rock acts, a movement that also included Caravan, Gong, Matching Mole, Hatfield and the North, and National Health, not to mention the distinguished pop music careers of founding members Robert Wyatt and Kevin Ayers and the jazz and jazz-rock explorations of saxophonist Elton Dean and bassist Hugh Hopper. 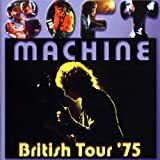 In October of 1970, Soft Machine started recording their fourth studio album. Their previous, two-disc release, Third , contained four long epics, each with its distinctive flavor. Robert Wyatt's piece, 'Moon In June', which was the only vocal track on the album, clearly showing his own musical vision, quite different from one of his band-mates. In fact, on his first solo album, The End of an Ear, Wyatt described himself as an "Out of work pop singer currently on drums with Soft Machine". 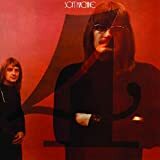 The jazz-fusion oriented path Soft Machine had taken undoubtedly did not please his musical sensibilities. For their upcoming album, the group invited a double-bass player, Roy Babbington, who had previously played with Keith Tippet. A horn section, different from the one on Third, was also added, consisting of Alan Skidmore on tenor saxophone, Jimmy Hastings on alto flute and bass clarinet, Nick Evans on trombone, and Mark Charig on cornet. Fourth was released in early 1971 and was followed by Robert Wyatt's departure from the band. 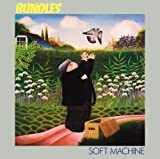 Soft Machine's style on Fourth may appear as radical compared their first two works from 1968 and 1969, but is in fact merely a natural development they made from Third. The recruitment of a double-bass player, however, is a breakthrough and a turning point in the band's career. This might be interpreted as a definitive cut-off from rock. Yes, they probably still could rock out, but they were by no means a rock band anymore. The group creates a unique blend of elements of Miles Davis' mid-late sixties post-bop, free jazz of Cecil Taylor, Ornette Coleman, and Charles Mingus, and ambient music, that could be connected with pioneering bands such as Popol Vuh. 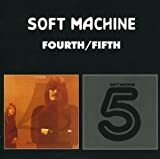 Fourth also has a one-of-a-kind, inexplicable flavor that indicates that Soft Machine is a European outfit and differentiates them from contemporary groups from the United States. Similarly to Third, Fourth is largely focused on improvisation, therefore showcasing the instrumentalism of the musicians. The newly-recruited horn section helps the band in reaching a certain amount of versatility in their sound. Although Elton Dean's alto saxophone and saxello is still dominant in the band's soundscapes, they are now enriched with sounds of a flute, a trombone, a cornet, and a tenor sax. Most often, these instruments play together, creating an interesting 'metal wall' of horn sounds, but solo parts on each of them are not uncommon. Mike Ratledge's keyboard rig is extended with a Hohner pianet, which the virtuoso finds particularly useful on parts, where strong rhythmical background is needed. His signature fuzzed-out Lowrey organ sound, which is one of the few common elements between Soft Machines debut and Fourth, plays an important role on his break-neck speed solos. With a double-bass player onboard, Hugh Hopper's contribution might seem limited, but the bassist's unique style and bass timbre is still crucial to Machine's sound. Robert Wyatt, who quite rightfully might not have been happy with a direction his band took, proves how much of a versatile drummer he was with his accurate and precise drumming. Side one of Fourth is occupied by three tracks. The work starts with Ratledge's composition 'Teeth'. It starts out with a complex theme, which smoothly dissolves into a jam (which at parts reminds me of 'Hope For Happiness' from Soft Machine's debut). Then, we are approached by Hopper's piece 'Kings and Queens', which despite following a simple structure is one of the most memorable tracks from the album with a slightly gloomy, melancholic feel. Side one is closed with 'Fletcher's Blemish', a loud, atonal, horn-driven jam that lies just on the border of being classified as free-jazz and fusion. Side two comprises Hugh Hopper's four-part suite 'Virtually'. Part 1 is kept in a traditional jazz feel and is based on improvisation. Part 2 builds up tension, which leads to an atonal jam with Elton Dean's saxophone in the foreground. Part 3 opens with dissonant noises achieved by manipulating instruments with studio equipment on dreamy electronic ambient basis. Part 4 is basically an extension of Part 3 with smooth passages fading until the end of the album. 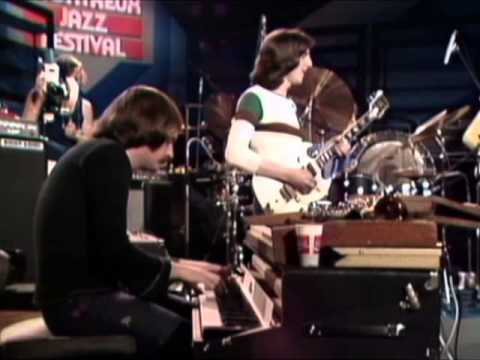 Fourth marks the end of Soft Machine's Canterbury scene years and begins what is known as group's 'classic' era as a jazz-fusion act. The music on the album might not be very compelling, at least in my book, but is a much-needed listen and is crucial to the development English jazz to come. A lot of the times, one will find their thoughts drifting far away from the music, which might be a testimony of its' well, soporific aspect. The album is more than decent in its own right, but is rather stodgy, insignificant, and unmemorable at the same time. No wonder why Robert Wyatt left Soft Machine. However, it is recommended to listen to the album and forge your own opinion. From start to end, this album is an absolute killer. Every single second is just excellent, the listener cannot lose his attention on the music. 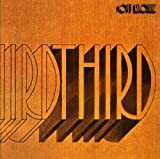 Last one with Robert Wyatt, "Third" is by far SOFT MACHINE's best offering. With four pieces of approximately 20 minutes each, mainly instrumental, the musicians push back the frontiers of space modal jazz rock far beyond. The record opens with the live song "Facelift" and its crazy sonic experimental deflagrations. A disturbing atmosphere takes place to let the energetic and catchy jazzy theme suddenly explode. The ambiance changes at the middle of the track to become calmer and more mysterious. This section shows echoes of JOHN COLTRANE's playing. "Slightly All The Time" is a soft and slow evolving piece of modal jazz. It has sometimes faster moments which will take you to the heights. The second half of the song is more tormented and spacey. Then comes the best side of the disc. First, the only track with vocals, "Moon In June". Robert Wyatt's psychedelic and soft voice is just magic and fits perfectly to the melancholic and enchanting music. Just listen and relax. The number of changes of musical directions is just amazing! The second part of the song displays an unbeatable combo of powerful jazz rock. Terrifying! "Out-Bloody-Rageous" concludes magnificently the album by making it enter definitely into the legend. The tune starts and finishes delicately with an ethereal aquatic electronic ambiance taking the listener to the clouds during nearly 5 minutes. The rest just features top-notch and very inspired modal jazz with talented musicians at their best. Less psychedelic, more jazz and progressive oriented than their two first releases, "Third" is an exemplary tour de force and a milestone in its genre. This is the record that got me into jazz rock and I could simply not get enough of it. There are very few albums which can match this one. You will not see the time pass. Strongly recommended to everyone! So intent was SOFT MACHINE to evolve at the speed of light into new musical territory that in only a few short years since they founded as a psychedelic pop band and then virtually establishing what would eventually be called the Canterbury Scene in the musical world that by the time they got to their THIRD album so they had practically abandoned all that had come before and dove head first into the world of free jazz and avant-garde psychedelia with only tidbits of rock still to be found throughout this sprawling and ambitious undertaking. Despite the gaudily ugly packaging and the horribly generic album titles, the music is some of the most complex and sophisticated that 1970 had to offer. 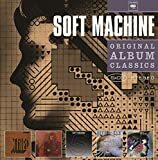 SOFT MACHINE was simply ahead of the pack by first creating the Canterbury Scene of rock music well before any other takers would continue down that path but they also jumped into the seas of super complex jazz-fusion which can be heard on this bizarre and transitory classic. THIRD has a much broader spectrum of sound than anything attempted by the band before. Still on board are Robert Wyatt on drums and vocals on the sole vocal track “Moon In June,” Hugh Hopper on bass and Mike Ratledge on various keyboards but we also get Lyn Dobson on sax and flute, Jimmy Hastings (brother of Pye) on flute and bass clarinet, Rab Spall on violin and Nick Evans on trombone. The result of this expanded musical lineup is a big fat jazzy sounding album that is predominantly jazz in nature but has just enough rock and psychedelic influences to keep it firmly in the unusually experimental section on your shelf. The four tracks almost hit the 20 minute mark each but they often seem like they contain several tracks that combine to make a larger track. “Facelift” is a live recording on the album and it starts out with very trippy sounding intro before getting into jazz-fusion territory. “Slightly All The Time” seems like a pure jazz piece in the beginning but really rocks out at the end. 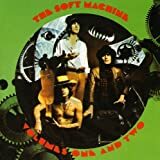 “Moon In June” is the only track to feature vocals and the last one of SOFT MACHINE to ever contain them. I personally think at least one track on an this mostly instrumental album adds a human touch to the bizarre soundscapes created. “Out-Bloody-Rageous” is evenly divided into four parts with the first being psychedelic, the second being jazzy, the third being keyboard oriented and the last part extremely trippy. This is simply a brilliant album from beginning to end but certainly not an easy one to digest. This one requires being well versed in both progressive rock and jazz to really enjoy. It takes many more listens than the average album to fully fall for. I certainly didn't warm up to it at first but eventually after many persistent and attentive attempts it has in the long run paid off handsomely. I should also mention that is well worth tracking down the 2007 remastered version for not only do you get superb sound quality but a bonus disc from a concert at The Royal Albert Hall for BBC Radio Three in 1970. There are three tracks: “Out-Bloody-Rageous,” “Facelift” and the previously unreleased “Esther's Nose Job.” This is simply one of those albums where words fail to convey the many moods and dynamisms employed in these works. It is a must hear to understand for it is unlike anything that came before and since as far as I am aware. Classic. No SOFT MACHINE movie reviews posted yet.